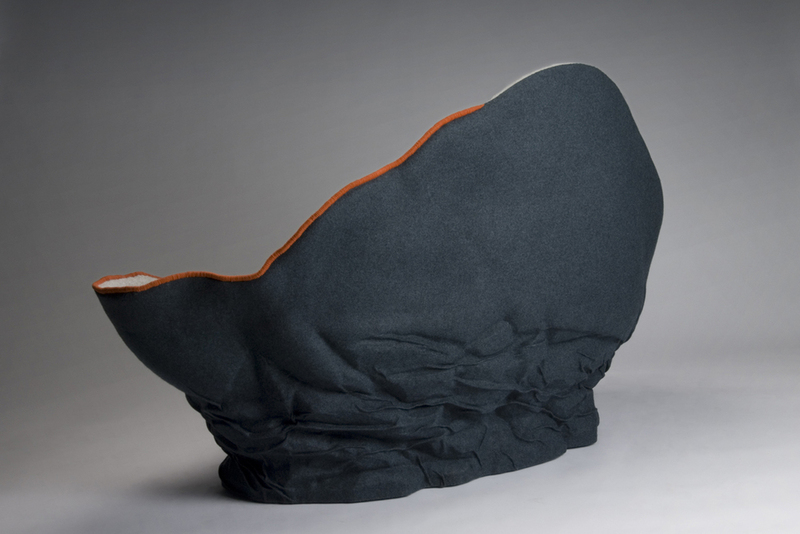 Project: Upholstery project/ challenge at The Royal Danish School of Fine Arts- School of Design. The challenge was an initiative from the Upholstery Guild in Copenhagen who celebrated 550 years in 2010. OSTREA is Annika Göransson’s modern version of the 19th century’s upholstery furniture. The inspiration was the bombastic divans and armchairs from this period, which were richly decorated with tassels, fringes and drapes. The traditional ornamentation was converted into structures and the bombastic shapes were translated into a flowing, organic form. The oyster’s structure and colours was also a source of inspiration hence the name, which means oyster in Latin. Annika Göransson has worked with the contrast between rough and smooth and light and dark in the furniture. 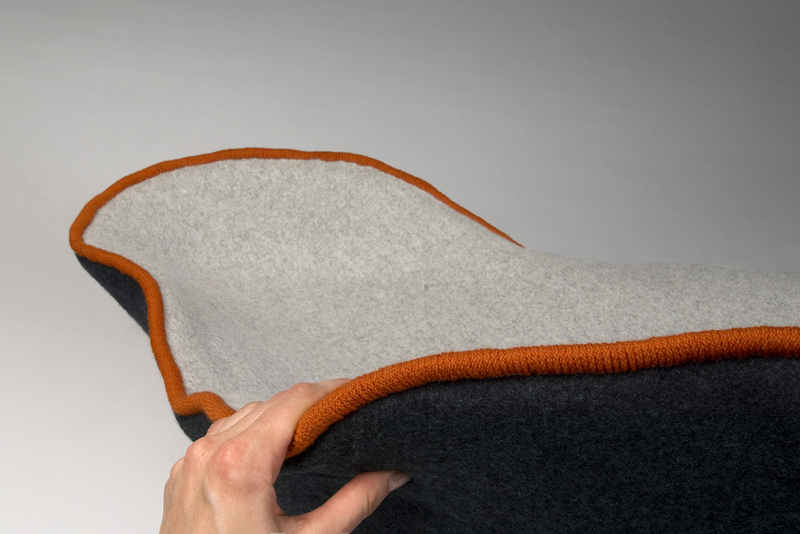 The orange thread accentuates the organic shape and defines the flexible part of the sofa. 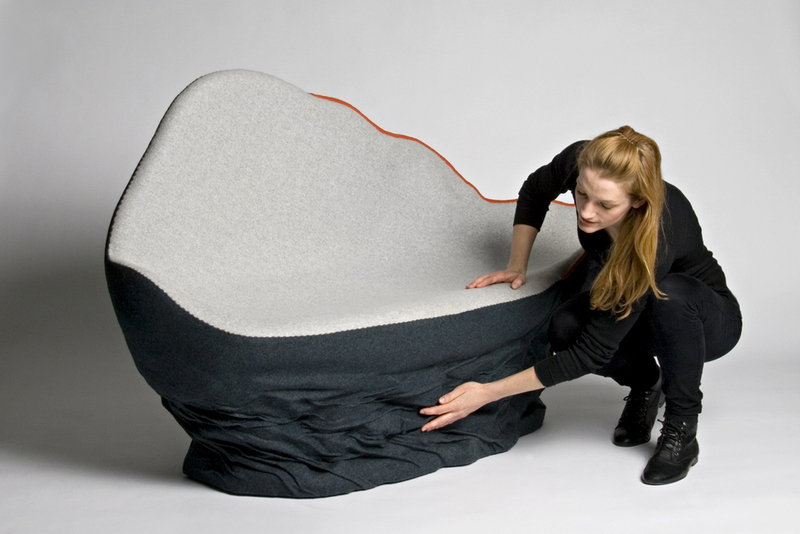 Ostrea sofa was named winner of the upholstery competition, initiated by the Upholstery Guild in Copenhagen, on the 7th of April 2010.